Everyone knows that GP2010 R2 got released well before it’s announced date (1st May 2011). And I was no exception in starting off with it. Reason: I am running SQL Server 2008 R2 Express. For some reason, SRS deployment do not recognize SQL Server Express editions and it requires either Standard or Enterprise. So people, those who would wish to deploy SRS on SQL Server 2008 R2 Express, please do not. 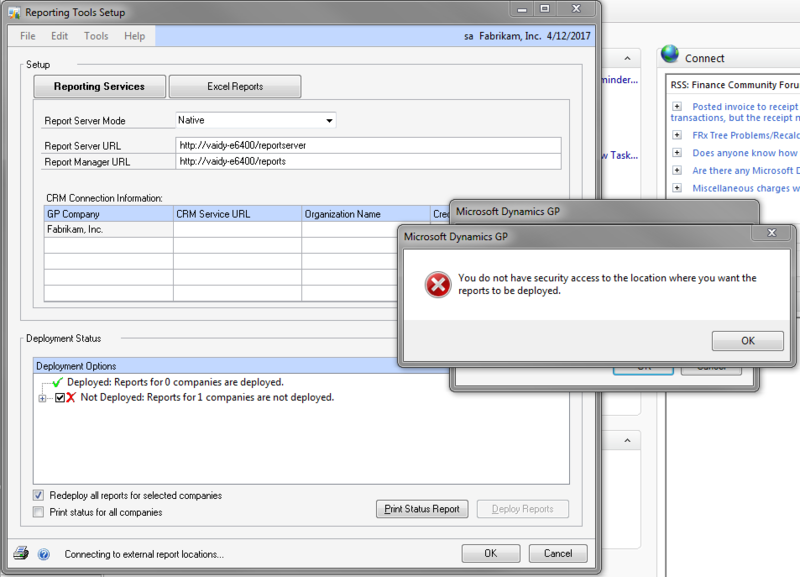 This entry was posted in GP 2010 R2, Reporting, SSRS and tagged GP 2010 R2. Bookmark the permalink. Thanks for the info Vaidy…..